Steve has been training with us for 2 1/2 years. Prior to training with us Steve did a lot of coaching but didn't have a lot of time to devote to his own fitness. He did some cycling but didn't get the results that he wanted. Steve regularly attends our 5pm Adult Team Training Class, hikes 14ers with us in the summer and runs with us on Wednesday evenings. His dedication to living an active lifestyle and healthy balanced diet has helped him lose 30 pounds since starting in 2014. He said "it feels great to have lost that weight while gaining strength!" Thanks for trusting us help you achieve your fitness goals. We're excited that you take the time out of your busy schedule to join us so frequently! Keep up the great work! 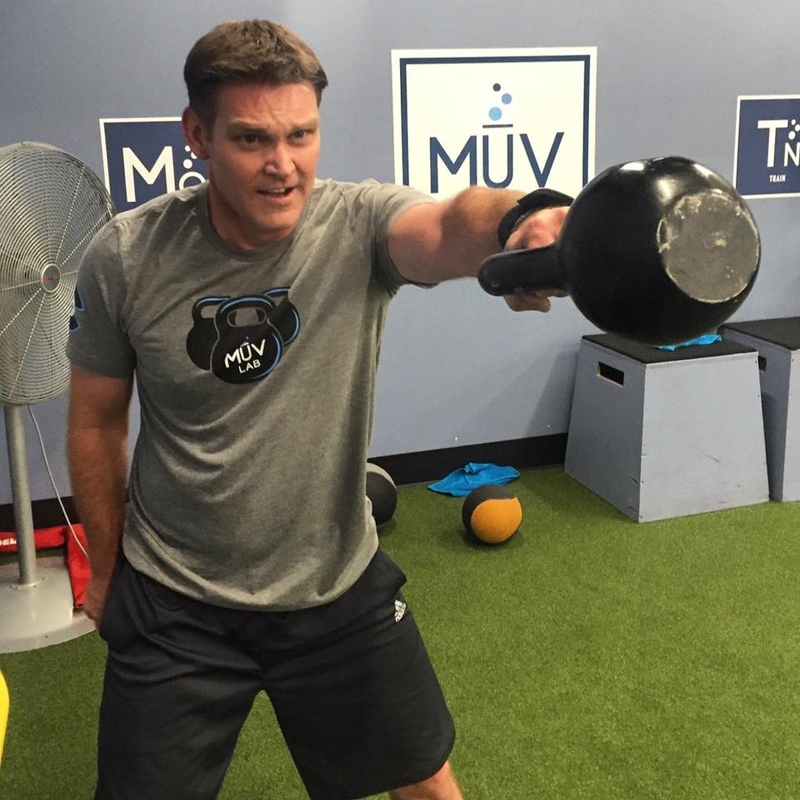 What is your favorite thing about training at MuvLab? Honestly, my favorite thing is that I know I can show up and don't have to think. I'm able to shut my brain off and I know 60 minutes later I'll have gotten a great workout.